We report on how implementing a Model Based Automotive SW Engineering Process in an industrial setting can ensure the correctness of automotive applications when a process based on formal models is used. We show how formal methods, in particular model checking, can be used to ensure consistency of the models and can prove that the models satisfy selected functional and safety requirements. The technique can also be used to automatically generate test vectors from the model. 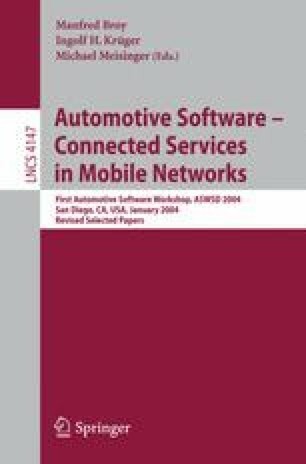 Hence we show how in many ways formal verification techniques can add value to the models used for different purposes in developing automotive applications.